A trio of Soyuz crew members parachuted down to a safe landing in the dark of night on Friday, returning from a 142-day mission to the International Space Station. Making a rare nighttime landing and the first post-sunset touchdown in ISS history, Soyuz commander Oleg Kononenko and Flight Engineers Kimiya Yui and Kjell Lindgren returned safely, handing over the helm to the Expedition 46/47 crew that is just days from liftoff atop a Soyuz rocket for an Express Rendezvous with ISS on Tuesday. Boarding their Soyuz craft in the early morning hours, veteran Soyuz commander Kononenko and his Flight Engineers bid farewell to the Space Station when closing the hatch of their Soyuz to get ready for undocking at 9:49 UTC. Setting sail on a short free flight, the Soyuz opened a gap to the Space Station ahead of firing its engine for close to five minutes at 12:19 UTC to hit the brakes and enter a trajectory intercepting the Earth’s atmosphere for a speedy re-entry. Blazing through the dense atmosphere, the Soyuz and its crew got a the typical rollercoaster ride when the parachutes were opened just below the speed of sound. 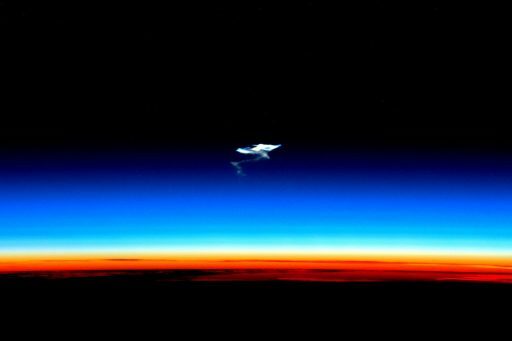 Descending towards a nighttime landing, Soyuz remained on course for an on-target touchdown that occurred at around 13:12 UTC to put an end to a mission of 2,256 orbits around the planet, marking the homecoming of an international crew of three after a busy flight to space. Kononenko, Yui and Lindgren are wrapping up a four-and-a-half-month stay in space, having launched on July 22 after a two-month delay due to the investigation into the failure of Progress M-27M mission in April that required studies of the commonality of the separation system used on by the Progress and that used by the crewed Soyuz spacecraft. Arriving at ISS after an express rendezvous, the Soyuz trio joined Gennady Padalka and one-year crew members Scott Kelly and Mikhail Kornienko aboard ISS. 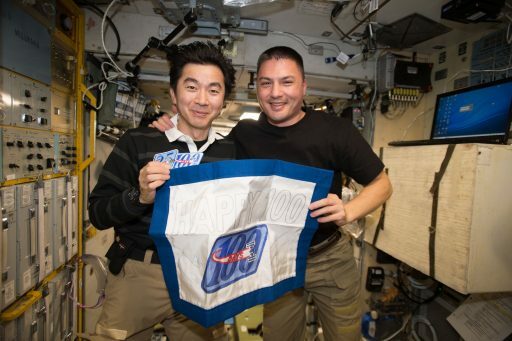 During their time with Expedition 44/45, Kononenko, Yui and Lindgren supported over 200 scientific studies and oversaw the arrival of the HTV-5 spacecraft in August and Progress M-29M in October, two crucial resupply missions coming after the failures of Progress M-27M and the SpaceX Falcon 9 – grounding a major part of the ISS visiting vehicle fleet with Orbital’s Cygnus having been grounded since the Orb-3 launch failure in 2014. The crew also supported a direct handover in September that facilitated the switch of the one-year crew between Soyuz spacecraft at the half-way mark in their mission, welcoming Sergei Volkov who joined the crew for Expedition 45. Given the lack of visiting vehicle activity, the crew was able to focus on ISS Utilization, working over 40 hours a week on the various studies ongoing aboard the complex, covering virtually all fields of science with a particular focus on human research for which the crew members often act as experiment subjects themselves. Scott Kelly and Kjell Lindgren supported a pair of spacewalks in which they rejuvenated the station’s robotic arm, laid down cables to facilitate future commercial crew vehicles, and reconfigured the Station’s Photovoltaic Thermal Control System. Some additional excitement emerged in November when one of the Space Station’s power channels failed, requiring Mission Control to tie two channels in order to re-power systems while an investigation into the problem was in progress. 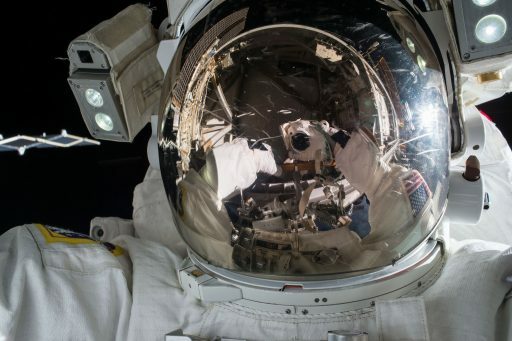 Traced back to a failure within a Sequential Shunt Unit, the responsibility of recovering this system will fall into the hands of the Expedition 46 crew who will conduct a spacewalk in early 2016 to replace the power box with a spare. 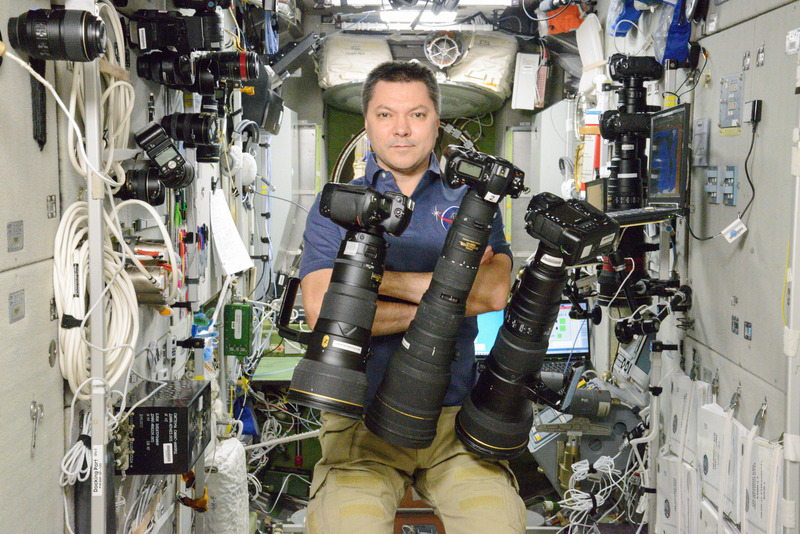 The lack of Commercial Cargo traffic to ISS ended on Wednesday when Kjell Lindgren controlled the Station’s robotic arm to capture the Cygnus OA-4 spacecraft, ending his mission on a high note. Cygnus is delivering a record-setting 3,500 Kilograms of supplies to the Space Station and is booked for a stay of approximately two months. As Expedition 45 was winding down, the three crew members began preparations for their return, working through the usual reviews of Soyuz descent procedures, testing out the various systems of the Soyuz including its thrusters, packing the spacecraft with return cargo, and clearing out their crew quarters aboard ISS. They had a very early start on Friday, powering up their Soyuz spacecraft, conducting a last set of Flight Control Checks and going through communication checks with Russian Ground Stations, also stowing the final time-critical science samples onboard the spacecraft. 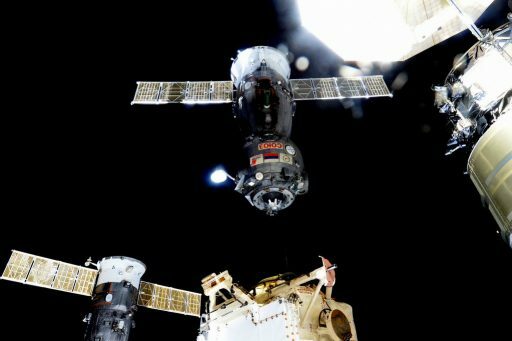 Mission Control radioed up to the crew a final update to the deorbit timeline and the departing crew members bid farewell to Sergei Volkov and one-year crew members Scott Kelly and Mikhail Kornienko who will remain aboard ISS until early March. Floating into their Soyuz, the crew closed the hatch and began the standard leak checks to confirm the seal between Soyuz and ISS was tight. 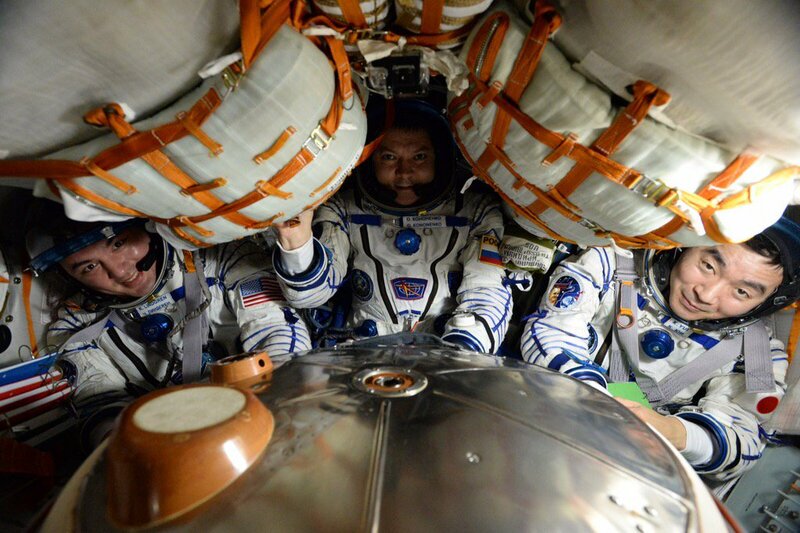 The trio put on their Anti-G garments and Sokol Launch and Entry Suits, strapped themselves into their seats and closed up the small Entry Module of the Soyuz to work through the final reconfigurations ahead of undocking. The Soyuz was transferred to autonomous power, hooks on the Rassvet module were opened up and the docking mechanism was powered up in the run-up to the undocking sequence that was commanded at 9:48 UTC to initiate the opening of Soyuz’ hooks to detach itself from ISS. Soyuz TMA-17M set sail at 9:49:35 UTC, as the craft was pushed away from ISS by loaded springs and continued drifting away for three minutes before activating its thrusters for a pair of departure burns that set it on its course out of the vicinity of the orbital laboratory. 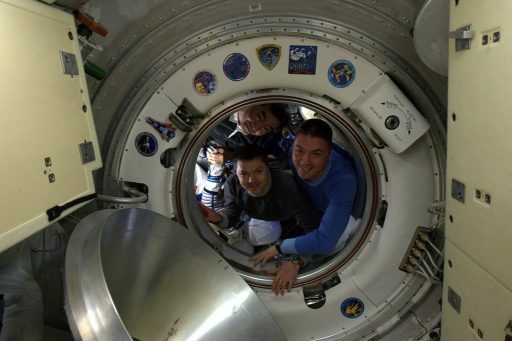 Oleg Kononenko, flanked to his left by Kimiya Yui and his right by Kjell Lindgren, configured the spacecraft for free flight and settled down for a free flight of two and a half hours to open a gap of 12 Kilometers to ISS. At 12:19:19 UTC, the Soyuz began a computer-orchestrated deorbit burn to drop the capsule out of orbit. The firing of the craft’s 300 Kilogram-force SKD main engine was four minutes and 40 seconds in duration, taking place over 400 Kilometers above Atlantic Ocean. 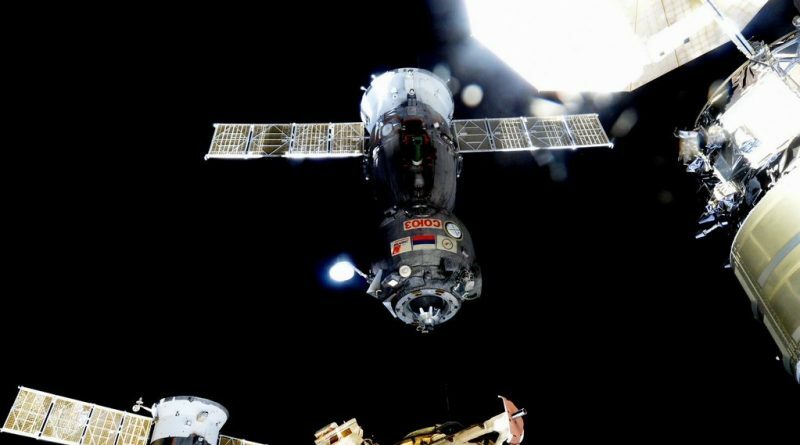 Slowing down by 128 meters per second, the Soyuz was set on a course towards re-entry with the entry location and angle carefully set up to allow the craft to reach its landing site in south-central Kazakhstan, 121 Kilometers north-east of the town of Dzhezkazgan. With no more turning back, the crew closed their helmets and watched over the systems of the spacecraft as the Orbital Module was depressurized and the vehicle began to drop in altitude. At that point, recovery forces were in the final stages of deployment to the primary landing site and the ballistic site, 400 Kilometers short of the intended landing target. A 300-strong team from RSC Energia and all three space agencies involved in Friday’s landing was ready to head the landing site in offroad and all-terrain vehicles as well as a fleet of Mi-8 helicopters while two Antonov aircraft started circling the landing zones to act as airborne command centers. However, only four helicopters were dispatched to the landing site given the harsh weather conditions. Weather conditions at the landing site were typical for this time of year in the Kazakh steppe with sub-zero °C temperatures, moderate snowfall and rather breezy winds. En-route to Kazakhstan, Soyuz TMA-17M passed over the Atlantic and overflew Africa, reaching an altitude of 140 Kilometers over Egypt when the separation of the Soyuz modules was commanded to send the Orbital and Service Modules on their way towards a fiery demise while the Entry Module used its thruster system to get set for for high-speed re-entry. Hitting the atmosphere at 12:49 UTC at a speed of 7.7 Kilometers per second, the Soyuz initially held a fixed orientation before processing navigation data and putting the craft through a series of bank maneuvers and modifying its lift to home in on the precise parachute opening target. 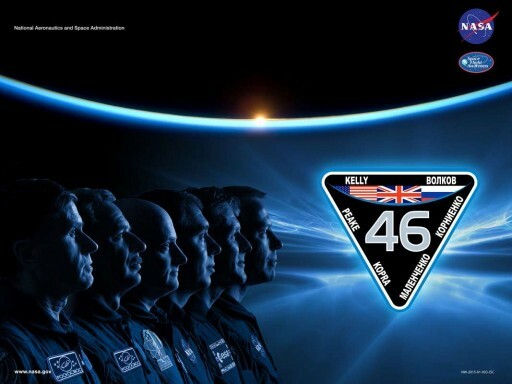 Enduring a G load of up to five Gs, the crew continued calling out re-entry events, although communications had deteriorated well before then which has become the norm for Soyuz returns. Heading into the atmosphere, the Soyuz passed peak heating with its heat shield enduring temperatures of up to 1,600°C, slowly burning away in the process to create a boundary layer between the much hotter shock wave layer of compressed air in front of the vehicle. The windows of the Entry Module were glowing bright yellow and pieces of the heat shield could be seen flying past before forces decreased and the sound of wind became audible for the crew. Heading into the sunset, Soyuz deployed its parachutes 10.5 Kilometers in altitude, still traveling 212 meters per second. First, two Pilot Chutes pulled out the Drogue Chute that stabilized the descent of the spacecraft and slowed it down for the deployment of the large orange-and-white main chute, giving the crew the rollercoaster ride of a lifetime as the small capsule wildly oscillated under the chutes before the descent got calm. Descending vertically, Soyuz started its landing program to prepare for touchdown by separating its heat shield to expose the craft’s altimeter, venting Hydrogen Peroxide propellant from its tanks, jettisoning the charred window covers and moving the crew’s Kazbek seats upwards so they could absorb some of the shock at landing. Soyuz broke through a dense cloud deck hanging just 200 meters above the ground and touched down on time and on target at 13:12 UTC as the solid-fueled soft landing engines cushioned its impact on the snow-covered steppe, returning after 2,256 orbits around Earth and safely bringing home its crew of three. The capsule came to rest on its side and recovery forces quickly located the craft using locator beacons and began descending upon the landing site with helicopters landing in a sequential fashion and all-terrain vehicles rushing towards the Soyuz. The experienced recovery team made quick work safing the spacecraft and opening up the hatch to check with the crew whether everyone was in good condition. The Soyuz trio handed out flight documents and got ready to depart their cozy and warm spacecraft to be greeted by a cold winter breeze at the landing site with a wind chill of -13°C and some snow blowing around close to the surface. 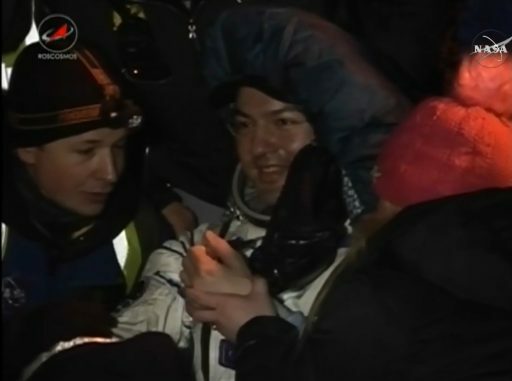 Oleg Kononenko was first to be extracted from the Soyuz and appeared to be in good physical condition and in great spirits, returning from his third long-duration flight to space, logging a total of 533 days in orbit. Next out of the Soyuz was Kimiya Yui, also with a big smile on his face and not seeming to be in much discomfort after his first return to gravity, having spent 141 days and 16 hours in orbit. Kjell Lindgren was last to exit the Soyuz, being helped out by recovery personnel and also appearing to be in good health, coming home after his first flight to space. 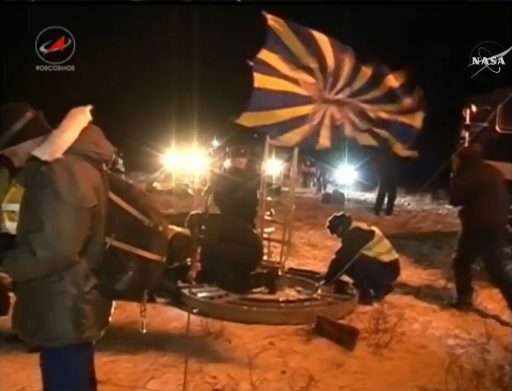 The three crew members were seated in reclining chairs next to their Soyuz for a few minutes, going through quick medical before being carried to helicopters for a direct departure of the landing site, foregoing the usual procedure of setting up a medical tent due to the unfriendly weather conditions. Heading to Dzhezkazgan, the crew will part ways as Oleg Kononenko is booked for a flight back to Moscow and Kimiya Yui and Kjell Lindgren will board a NASA Plane to head back to Houston for several weeks of medical checks and post-flight studies. With Friday’s successful Soyuz landing, the International Space Station is heading into a busy Expedition 46 highlighted by the conclusion of the first ever one-year mission to ISS. It is also dedicated to the continued utilization of ISS as an orbiting laboratory for over 200 ongoing studies across all fields of scientific research. Expedition 46 is a relatively busy increment, with a packed science schedule in addition to a number of visiting vehicle departures and arrivals as well as spacewalks on the Russian and U.S. side of the orbiting complex. The next Soyuz crew comprised of Yuri Malenchenko, Tim Kopra and Tim Peake, is on the verge of their liftoff, set for Tuesday in a shortened gap between a Soyuz landing and the subsequent launch in a busy month for ISS visiting vehicles. Their Soyuz rocket will be assembled on Saturday ahead of the rollout to the launch pad on Sunday to set up for a fast-track launch and rendezvous on Tuesday. Copyright © 2019 ISS Expedition 46 | Spaceflight101. All rights reserved.